Bless PolitiFact's heart. Those fact-checking journalists just don't seem to realize that they're having trouble setting aside their biases. Unless they do realize it and wantonly lie in their fact checks. This is actually the third in our series on PolitiFact's debate-night blogging. We broke with the tradition of mentioning that in the title to bring attention to PolitiFact's fundamental error in the case we will examine. During the third debate, Democratic presidential candidate Hillary Rodham Clinton said her Republican opponent, Donald Trump, used undocumented workers to construct the Trump Tower in Manhattan. Clinton: "He used undocumented labor to build the Trump Tower." This is True. Between 1979 and 1980, Trump hired a contractor to demolish a Manhattan building to make way for the eventual Trump Tower. That contractor in turn hired local union workers as well as 200 undocumented Polish workers to meet the tight deadlines. According to Qiu and PolitiFact, demolishing a building is constructing a building. Or at least not different enough to make a difference in the rating. 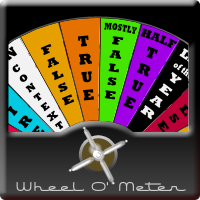 We assume that if Clinton had said Trump used undocumented workers to demolish the building that once stood where Trump Tower now stands that the claim could rate no higher than "True" on PolitiFact's "Truth-O-Meter." One version of the claim is no more accurate than the other by "Truth-O-Meter" standards. Words matter – We pay close attention to the specific wording of a claim. Is it a precise statement? Does it contain mitigating words or phrases? Contrary to PolitiFact, "demolition" and "construction" do not carry the same meaning. The construction of a new building will typically not start until after the complete demolition of the building occupying the site of the proposed new construction. If undocumented workers demolished the building the Trump Tower replaced, then they finished their work before construction of the Trump Tower began. If they finished their work before construction began, then it is misleading at best to say they helped construct the Trump Tower. How can a fact checker botch something that obvious? We don't have time to completely go through PolitiFact's election night blogging, but we'll keep picking out a few gems for comment as the week winds down. Republican presidential candidate Donald Trump said Democratic presidential candidate Hillary Rodham Clinton wants open borders. A WikiLeaks release offered Trump's claim some support. In a brief speech expert from 2013, Clinton purportedly says, "My dream is a hemispheric common market, with open trade and open borders, some time in the future with energy that is as green and sustainable." But we don’t have more context about what Clinton meant by "open borders" because she has not released the full speech. Her campaign has said she was talking about clean energy across the hemisphere. We rated Trump’s claim Mostly False. What other context is necessary to understand Clinton's comment? "Hemispheric common market" is pretty clear. "Open trade" is pretty clear. "Open borders" is pretty clear, particularly in the context of "hemispheric common market" and "open trade." PolitiFact eventually falls back on "he said, she said" journalism by citing the Clinton campaign's explanation of her remarks: "Her campaign has said she was talking about clean energy across the hemisphere." So it was just about having "open borders" so we could trade clean energy in this hemisphere? What kind of clean energy gets traded from one nation to another? Wind? Solar? Clean energy proponents bemoan barriers to investment, but what does "open borders" have to do with that? PolitiFact is using the abbreviated context as a "get out of jail, free" card for Clinton. The context of her speech provides enough context to find Trump's claim at least "Half True." In what way does the definition not fit, other than PolitiFact not knowing for sure Trump's statement is only partially accurate, or not knowing the statement was taken out of context? Forgive us for pretending that PolitiFact's definitions for its ratings are not ultimately subjective. It's the night of the third presidential debate, and PolitiFact is doing its so-called fact checking thing. Democratic presidential candidate Hillary Rodham Clinton says Republican presidential candidate Donald Trump is the first major party nominee in 40 years not to release his tax returns. PolitiFact rules this "Mostly True" because there's only one exception out of 22. Nearly 5 percent of the major party presidential nominees do not release their tax returns over the past 40 years. That's right. There have been only 22 major-party presidential candidates nominated in the past 40 years. Jimmy Carter, Ronald Reagan, George H. W. Bush, Bill Clinton, George W. Bush and Barack Obama were each nominated twice. So this mighty precedent touches 16 candidates. Saying "40 years" makes it seem like more. Using 16 nominees for the calculation edges the percentage up over 6 percent. We're actually a little surprised PolitiFact didn't give Clinton a "True" rating, considering that her claim that she released all her emails was only off by about 30,000 but still received a "Half True" rating. The problem with the "best chess fact-check ever written"
A fact checker ought to notice the problem right away. Indeed, the average reader likely sees a big hint about the problem in the Share the Facts version. The key part of the fact check is outside the quotation marks denoting what Republican presidential candidate Donald Trump said. We presume the fact check more than adequately shows that the United States boasts multiple Grandmaster level chess players. We question whether PolitiFact established as fact that Trump said the United States has no Grandmaster chess players. Trump was in the midst of criticizing international trade agreements, including the Trans-Pacific Partnership. He said he supports the idea of bilateral agreements, saying that such deals would make it possible for the United States to threaten to withdraw, then renegotiate on more favorable terms before the agreement expired. Trump went on to say that with multilateral pacts like the TPP, "you can't terminate -- there's too many people, you go crazy. It's like you have to be a grand chess master. And we don't have any of them." Before fact-checking this statement from Trump, one must figure out what he meant. Was he saying that the United States has nobody evaluating its trade deals with skills parallel to a chess Grandmaster? Or was he saying the United States boasts no citizens who have attained Grandmaster rank in chess? If Trump had added something like "Bobby Fischer was the last one," it would have gone a long way toward confirming what Trump was saying. But how can a fact checker justify assuming the "them" in Trump's statement refers to literal chess players and not figurative ones involved in international trade on the behalf of the United States? PolitiFact routinely finds its way toward favoring one interpretation over others without bothering to acknowledge the other possibilities and without justifying its choice. It's one approach to fact-checking that fact-checkers ought to avoid. Is this fact check the best one ever on chess? If it's the only one, then we suppose we won't argue Adair's claim. But it's not a good political fact check if we value fairness, accuracy, relevance, and non-partisanship. PolitiFact continues to determinedly destroy whatever credibility it has outside its group of left-wing devotees. Our latest example consists of PolitiFact's fact check of Tim Kaine from Oct. 5, 2016. Kaine said his vice-presidential debate opponent, Mike Pence, had said Vladimir Putin was a better leader than President Obama. At one point, Kaine said, "Hillary also has the ability to stand up to Russia in a way that this ticket does not. Donald Trump, again and again, has praised Vladimir Putin. … Gov. Pence made the odd claim — he said, inarguably, Vladimir Putin is a better leader than President Obama. Vladimir Putin has run his economy into the ground. He persecutes LGBT folks and journalists. If you don't know the difference between dictatorship and leadership, then you got to go back to a fifth-grade civics class." Kaine hammered the point again later in the debate. "Well, this is one where we can just kind of go to the tape on it. But Gov. Pence said, inarguably, Vladimir Putin is a better leader than President Obama." It turned out Pence had said "stronger," not "better." Kaine had the wording of the quotation precisely aside from that key word, making sure both times he misquoted Pence that he got the use of "inarguably" right. Pence did say something very similar -- but not exactly as Kaine said. Pence had said that Putin "has been a stronger leader in his country than Barack Obama has been in this country." However, "stronger" is not identical to "better." We rate the statement Mostly True. Not identical? Certainly not. And certainly not in the context Kaine presented the claim. Remember the examples Kaine gave to show the oddness of Pence's claim? Putin ran the Russian economy into the ground. It's not "better" to run an economy into the ground, is it? But bucking the West and annexing Crimea despite Western sanctions takes strong leadership. Strong, yes. Better, no. It's not "better" to persecute LGBT folks and journalists. But doing so while maintaining high public approval ratings (over 84 percent) shows strength of leadership. Strong, yes. Better, no. Kaine fully exploited the difference between "stronger" and "better" the way a skilled liar would. But PolitiFact drops his rating only to "Mostly True" because he literally changed the word Pence had used. Kaine would have been taking Pence out of context. even if he had quoted Pence correctly. His examples saw to that. Is it a critical fact that "stronger" and "better" have different meanings? Did Kaine provide a context for "better" that differed from the context for "stronger" offered by Pence? Is the statement "accurate" if the key word is the wrong word? Do PolitiFact's definitions for its "Truth-O-Meter" ratings mean anything at all? If PolitiFact's definition of "Mostly True" was taken literally, then Kaine's statement could not receive a "Mostly True" rating. Kaine's version of what Pence said used a different word than what Pence had said. That makes Kaine's version inaccurate. If accurate and inaccurate do not mean the same thing, then "Mostly True" cannot fit Kaine's claim. How about "Half True"? Kaine's paraphrase of Pence was not wildly off. "Stronger" and "Better" have some overlap in meaning, and otherwise Kaine got the words right. Kaine's statement could pass as "partially accurate." Kaine also took things out of context, which fits the description of "Half True." And what about "Mostly False"? Kaine's statement could also qualify as having an element of truth. Most of the words he attributed to Pence were right, though he switched out "stronger" for "better." Was that change a critical fact, given how the terms differ in meaning? Arguably so. Kaine's statement thus also fits the definition of "Mostly False." Which rating fits better amounts to a subjective judgment. The definitions overlap, like the definitions of "stronger" and "better." If PolitiFact's definitions were taken literally, Kaine's rating would be a subjective coin flip between "Half True" and "Mostly False." That PolitiFact can bend its definitions to apply the rating for accurate statements to inaccurate statements, like Kaine's, shows that PolitiFact puts even more subjectivity in its ratings than its fuzzy definitions demand. Coincidentally, the Democrat gained the benefit this time. It's a pattern. The Weekly Standard: "Fact Checking the 'Fact Checkers'"
The Weekly Standard's "The Scrapbook" section this week highlighted the work of PolitiFact, the objective and nonpartisan fact checker that we so enjoy exposing for its lack of both objectivity and nonpartisanship. The article reviews a few of PolitiFact's recent newsworthy problems, including the conflict of interest it showed in defending the Clinton Foundation with help from a grant from another nonprofit that shares a major donor. PolitiFact publishes enough fact checks that it no doubt gets some right. But whether as a result of bias, incompetence, dubious financial incentives, or perhaps all of the above, PolitiFact has taken a wrecking ball to its reputation. It should be ignored altogether, but so long as PolitiFact remains a useful vehicle for applying a veneer of credibility to politicized judgments, the rest of the media will no doubt continue to cite it as an authority and use it as a cudgel. The liberal bloggers at PolitiFact have weighed in on whether Republican presidential candidate Donald Trump has broken his promise to release his tax returns. Trump, PolitiFact says, has broken his promise. We know PolitiFact says this thanks to the "False" rating it gave Trump's running mate, Mike Pence, for saying Trump has not broken his promise. There's a problem for PolitiFact, here. Pence is right, at least if PolitiFact is giving us the right version(s) of Trump's promise. PolitiFact provided no versions of the promise with any deadline attached. A promise made with no deadline for keeping the promise is never broken, unless we count death as a deal breaker. PolitiFact has apparently confused not keeping a promise with breaking a promise. So long as Trump has not released his tax returns, he has not kept his promise to release his tax returns. But lacking a deadline for keeping the promise, until Trump has passed up every opportunity he will ever have to keep the promise, he has not broken the promise. It's a simple matter of logic. Trump implied that he would release his returns before election day! Yes, perhaps so. It's an arguable point. But until election day rolls around and Trump has not released his tax returns, Trump has not broken his promise. And Pence is right to say so. So why does PolitiFact struggle so with simple matters of logic? On Oct. 1, 2016, we shared news of a Rasmussen Reports survey showing that most Americans do not trust fact-checking. A Rasmussen poll says that most voters (who were asked this arguably "leading" question) don't trust media fact-checking, but a SurveyMonkey poll says many voters consulted a fact-checking site during the first presidential debate. We agree the question Rasmussen posed was far from perfect. It placed trust in fact checkers in opposition to the idea that journalists skew the news. Asking respondents to rate their trust in fact-checkers on a scale would have given better information. Asking about trust in different specific fact checkers would give even better information. That said, we don't see the SurveyMonkey poll as any kind of contradiction to the Rasmussen survey. SurveyMonkey found 7 percent visited a fact-checking site during the debate, 19 percent visited one after the debate, and 9 percent visited both during and after. Finally, 64 percent did not visit a fact-checking website. With the SurveyMonkey poll we do not get information about whether people visiting fact-checking websites trust the websites they visit. We often visit fact-checking websites. It does not mean we trust them. And the same goes for people who did not visit fact-checking websites. Maybe they trust the websites but figure they know enough to judge the debate without getting help from a fact checker. The Rasmussen survey is the best we have at this point gauging public trust in fact checkers. While we look forward to better polling on the issue, Rasmussen gives us a fairly clear picture that the fact checkers have ground to make up building trust from the public. We do not think their current methods, particularly those of PolitiFact, will build trust from the public. We're not surprised the fact-checking community, and we count Elizabeth and Mantzarlis in that group, do not appear eager to address a broad lack of trust in their movement. *The Poynter Institute owns PolitiFact through the Tampa Bay Times. A couple of days ago, I emailed Jeff D. sharing what I felt was one of the good things to come out of this election season: "(T)he media have allowed the mask to slip as perhaps it never has before." These findings are no surprise given that voters think it's far more likely reporters will try to help Clinton than Trump this election season. Rasmussen makes the percentages of Johnson and Stein supporters who trust fact checkers available to its platinum subscribers. We'd report the numbers if Rasmussen had published them. This finding ought to serve as a wake up call to media fact checkers. If a relatively slim majority of one party's voters place their trust in you while the others do not, there exists a fundamental problem of credibility. Yet credibility is the only currency for fact-checkers. Though PolitiFact Bias is not widely read (yet), we think the survey shows most people see, at least to some extent, the same problems we see with PolitiFact and its fact-checking cohorts. The fact checkers need to find out about this trust gap and figure out how to shrink it. May we suggest they start by visiting PolitiFact Bias for a few ideas? A survey of likely voters by Rasmussen Reports shows just 29 percent trust media fact-checking of candidates, while 62 percent believe news organizations twist the facts to help candidates whom they appear to support. We would love to see a survey that compared public trust in each of the mainstream fact checkers. So far, we haven't noticed any fact checker acknowledging this story. Perhaps that will change on Monday.